From the creators of TV's Outnumbered comes this enjoyable British comedy that takes the show's winning formula (talented and adorable children, a script that allows those children to improvise much of their dialogue) and successfully translates it to the big screen. The result is both charming and hilarious. David Tennant and Rosamund Pike star as Doug and Abi McLeod, a London couple who are going through some marriage difficulties and have recently separated. 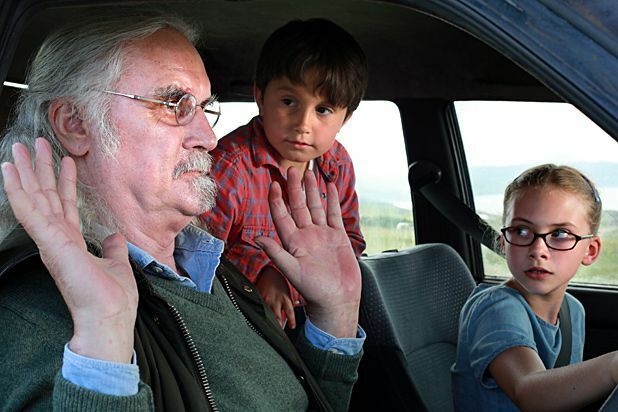 When they take a trip to the Scottish Highlands to attend the 75th birthday celebrations of Doug's father Gordie (Billy Connolly), their three exuberant children (Emilia Jones, Bobby Smalldridge and Harriet Turnbull) are under strict instructions to keep the separation secret from the rest of the family, especially Doug's over-achieving brother Gavin (Ben Miller). However, when a crisis occurs, the adults are so caught up in their own problems that the children end up making a very grown-up decision, which has a big impact on the planned celebrations. Tennant and Pike are excellent as the frazzled parents trying to maintain the illusion of stability and there's terrific support from a perfectly cast Connolly, who's on top twinkly-eyed form. That said, it's the kids who really steal the show here, each of whom has a gift for improvisation that puts seasoned comic performers to shame. Writer-directors Andy Hamilton and Guy Jenkin have a strong sense of structure and pace that serves them well throughout. Indeed, it's remarkable how tightly scripted the film feels, considering the degree of improv involved. Crucially, they also maintain an effective balance between laugh-out-loud comedy and moments of genuine emotion, with the film exploring some surprisingly adult themes, without resorting to mawkishness. In short, you'll laugh, you'll cry, and you'll probably book a holiday to the (beautifully shot) Highlands. General release from Fri 26 Sep.